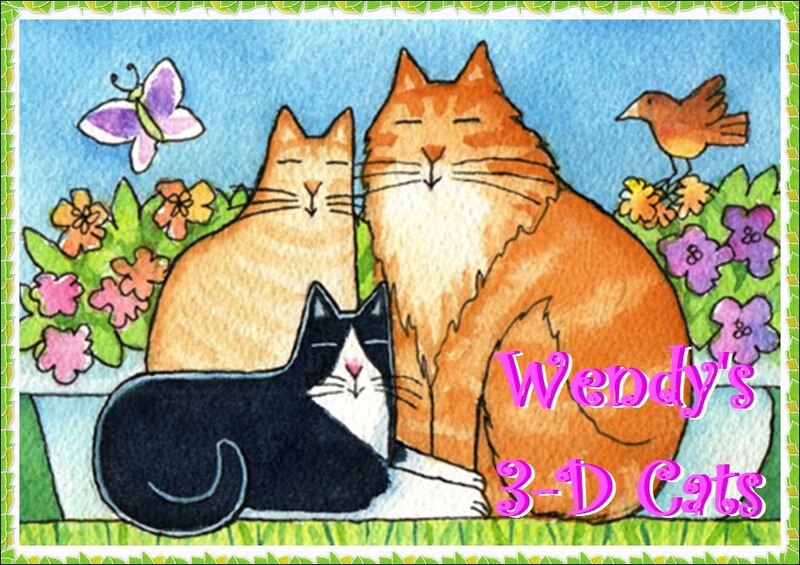 Wendy's 3-D Cats: VALENTINES BY DOMINO! This year Domino has made her very own Valentines. 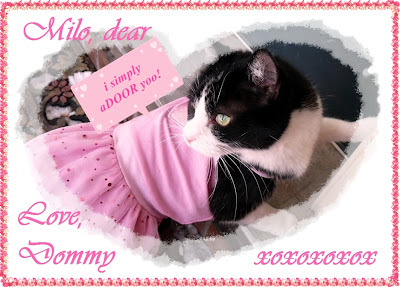 Of course she made one for her adorable boyfriend Milo, but she has also made one for all of her furiends out there in the Blogosphere. Domino said that I could post Milo's Valentine because she has already given it to him PURRivately, along with some hugs and smoochies. Domino will be spending the day with Milo on a double date with Alfie and his girlfuriend, Lola. She figures "Double yoor playshur, double yoor fun!". 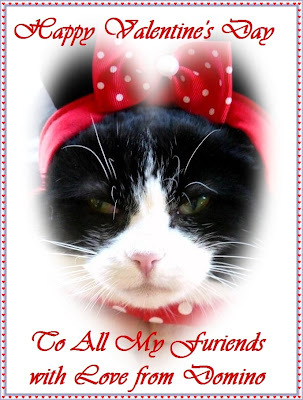 But Domino could not leave without wishing you all a happy heart day, too. She has enough love to fill the entire uniFURse, so she likes to share it with efurryone! After all, love is what it's truly all about. Happy Valentines Day! Love is definatly in the air! 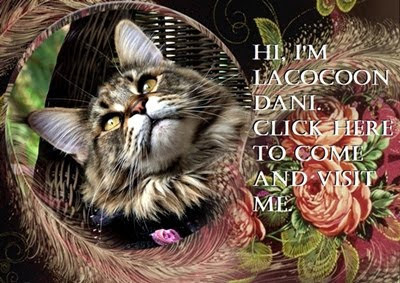 Happy Valentine's Day - I bet you will have a fabulous time, Domino! Make sure you and Milo and Alfie and Lola stop by my Valentine's Day party and commenthon at my blog! It's official. Red is no longer Valentines, black and white is Valentines!! Happy Heart Day to a lovely Valentine! Happy Valentine's day to my beautiful girl. You look lovely Domino! Happy Valentine's Day! Wonderful valentines, Domino! Happy Valentine's Day to you all!! Happy Valentine's Day to everyone! What cute cards of Domino! Mica Moo is rather strange looking since she licked off her eyebrows! We hope they grow back soon. Happy Valentine's Day from the dessert sisters.